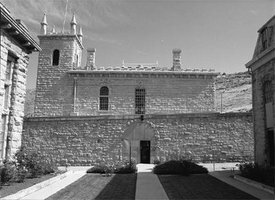 The Idaho State Penitentiary in Boise has been deemed as the most haunted prison in all of the state! In the year of 1870, this massive and spooky structure was constructed in an effort to control the criminals in and around the area of Boise. Through the years, many additional buildings were added as the need for more room increased. While the prison was quite peaceful in the early years, by the year 1935 the behavior of the inmates changed and many riots and other types of violence started to erupt. It is believed that the hauntings of this prison started with the violence. Here, you will learn about the haunting tales of the most haunted prison in all of Idaho! One of the most common of all of the haunting tales of this prison occurs when individuals who visit the massive structure approach the chambers of the executioner. Many have entered this area, and have felt an immense feeling of sadness. These individuals have become quite anxious, and have felt a strong sense of dread. Many visitors have been so sensitive to the paranormal activity in this area of the prison that they have been overwhelmed emotionally, and cried, or they have become quite ill. Many who tour the facility have to end their tour at these chambers simply because they are so overcome with emotions and feelings of physical malaise. The next common occurrences when it comes to this prison are the noises that cannot be explained. These include the sounds of running and walking, sounds that often reflect people talking in a certain area and nothing being found to explain them, and some seem to hear wails of grief. It is believed that the guards still walk among the cells of the prisoners, ensuring that they are staying in line. These events have been researched by ghost hunters from various places and have been found to be a direct result of the energy emitted in the areas while the facility was under operation. This means that the hauntings are residual – they hold not intelligence, only manifest as recordings of the past. 1109 Main Street, Boise, Idaho 83702.